Click on the individual tabs to learn more about each Center. 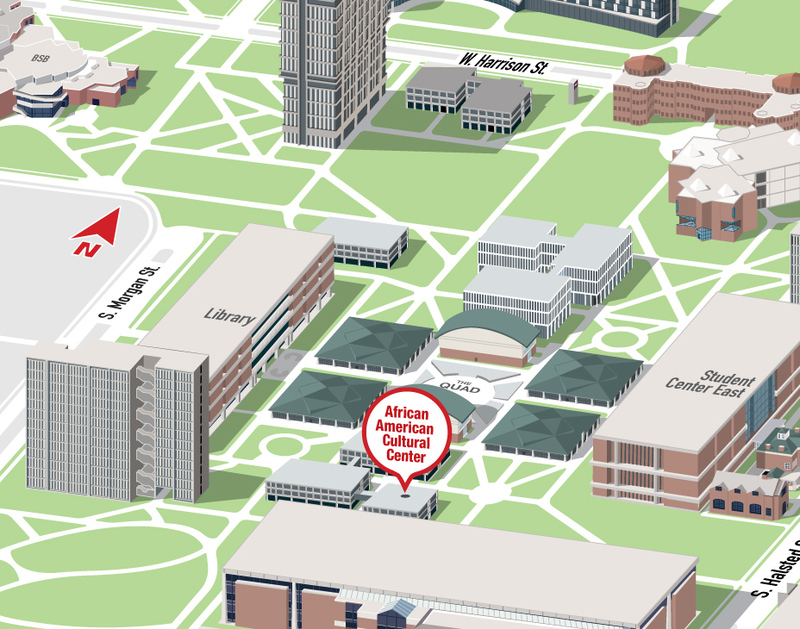 The African-American Cultural Center (AACC) supports the academic and diversity missions of the University by engaging UIC faculty, staff, students, community partners, and other stakeholders in programs and initiatives that contextualize, highlight, present, and critically examine Black diaspora traditions, histories, and experiences. We envision the Center as a safe, brave, and inclusive hub for collaboration, creative and scholarly practice, engaged learning, service, and social justice. Curates, produces, and sponsors exhibitions, performances, film screenings, open-mic poetry gatherings, lecture-demonstrations, dance, storytelling, visual and performing arts workshops, and projects. Coordinates and supervises internships, supports student and postdoctoral research, and lends its expertise to a number of collaborative programs and initiatives. Provides gallery and library spaces for quiet study, working groups, meetings, and presentations. Location: 2nd floor, Addams Hall, 830 S. Halsted St.
As the first Arab American Cultural Center on a college campus in the United States, the ARABAMCC is a welcoming space for Arab and Muslim students seeking to build community and anyone interested in fostering solidarity and cultural diversity on campus. Strengthens campus communities through artistic and cultural exhibits and programs, facilitates discussions on current issues, and hosts community-building activities. Expands alliances across campus with a focus on social justice, dignity, and mutual respect. Shares educational resources about Arabs, Muslims, and Arab and Muslim Americans with the UIC community. 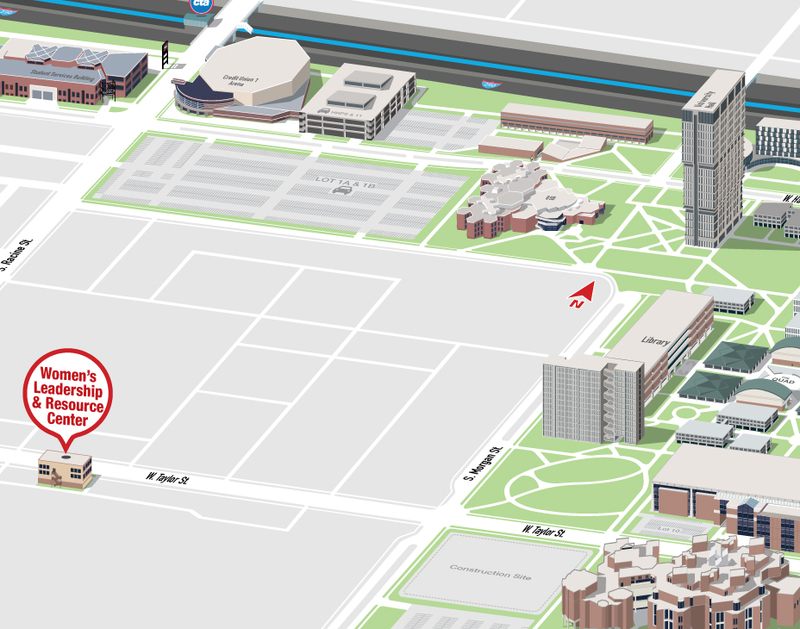 Location: 111 Stevenson Hall, 701 S. Morgan St. The Asian American Resource and Cultural Center (AARCC) opened in Spring of 2005 as a result of student efforts to ensure that UIC supports the needs of Asian Americans. AARCC promotes the intellectual and personal growth of UIC students, staff, and faculty; advocates for greater access, equity, and inclusion of Asian Americans; and educates the UIC community about Asian Americans. Offers social, cultural, and educational programs that promote knowledge of and fosters engagement with issues relating to Asian Americans and Asian American Studies. Develops co-curricular programs that enhance the UIC experience and provide opportunities for integrated learning and development. Collaborates and consults especially with Global Asian Studies (GLAS) and UIC’s Asian American and Native Pacific Islander-Serving Institution (AANAPISI) Initiative, as well as with other campus units, and serves as a resource for the campus to engage with Chicago’s Asian American communities and organizations. Location: 101 Taft Hall, 826 S. Halsted St. The Disability Cultural Center (DCC) was established as a new Center in the Spring of 2018 to continue engaging in cultural, social, and educational programming, and community outreach to advance understanding of the disability experience as a source of pride, knowledge, and artistic expression. The DCC is guided by the understanding that identity is multi-dimensional, involving the intersections of disability, race, class, gender, sexuality, religious affiliation, and geographic location, among others. 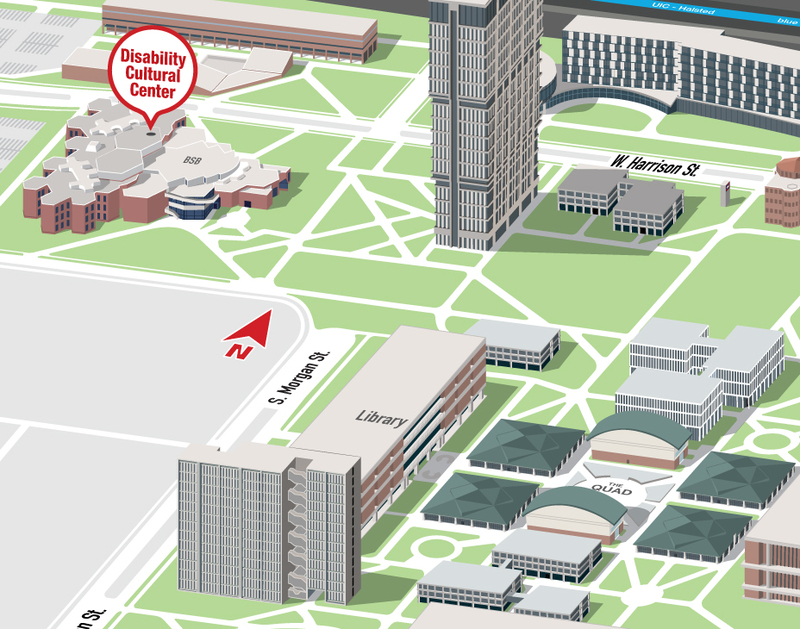 Provides a gathering space on campus, a safe place where the disability community is welcomed, respected and included as equal members of the campus community. We welcome students, faculty, staff, and other community members with any identity, including individuals who identify as nondisabled. Offers educational programs to highlight the many historical, civic, artistic, social contributions of the disability community, and takes part in collaborative programming with the other Centers for Cultural Understanding and Social Change (CCUSC), to infuse disability perspectives into our collective cultural programs. Fosters relationships with local, regional, national and international organizations committed to promoting intersectional understanding of disability culture. Works together with the DCC Campus Committee, recently appointed by the Vice-Provost of Diversity Dr. Amalia Pallares and collaborates with the Chancellor’s Committee on the Status of Persons with Disabilities (CCSPD). Location: 235 Behavioral Science Building 1007 W. Harrison St. The Gender and Sexuality Center (GSC) promotes deeply engaged and life affirming thinking, learning, and action for students, faculty, staff, alumni, and community members. Programs are informed by an understanding of intersecting identities and diversity within LGBTQIA+ communities. 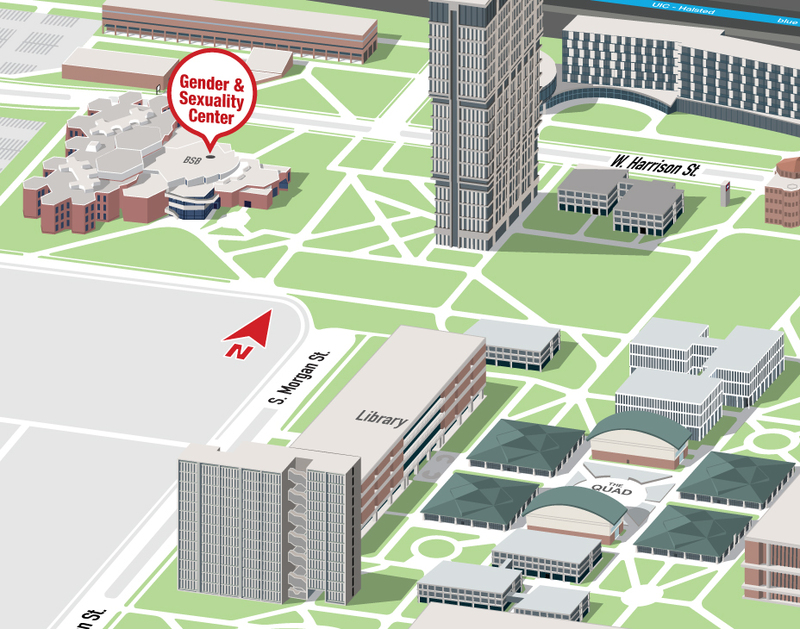 Encourages first year and new transfer LGBTQIA+ students to participate in Queer Compass to build community as they begin to navigate the University. Develops Safe Zone workshops to provide interactive experiences and specific expertise relevant for all units, departments, or organizations. Workshops increase awareness of LGBTQIA+ issues and concerns, and advocate for holistic and inclusive policies and practices. Hosts art exhibitions in the Flex Space to bring queer artists and relevant exhibitions into focus, paired with public dialogue events throughout the year. Location: 181-183 Behavioral Science Building, 1007 W. Harrison St. The Latino Cultural Center (LCC) engages campus and local communities to deepen understanding of the diverse cultural heritages and identities of Latinx, issues affecting their lives, and creative solutions they are using to improve community life. The LCC offers engaged learning co-curricular opportunities that feature cultural and artistic expressions, intercultural and civic dialogues, scholarly presentations, and first-voice stories. Offers social and environmental justice Civic Dialogues and Tours of our mural El Despertar de las Américas (the largest contemporary indoor mural in Chicago) to connect UIC courses material to community challenges and solutions. 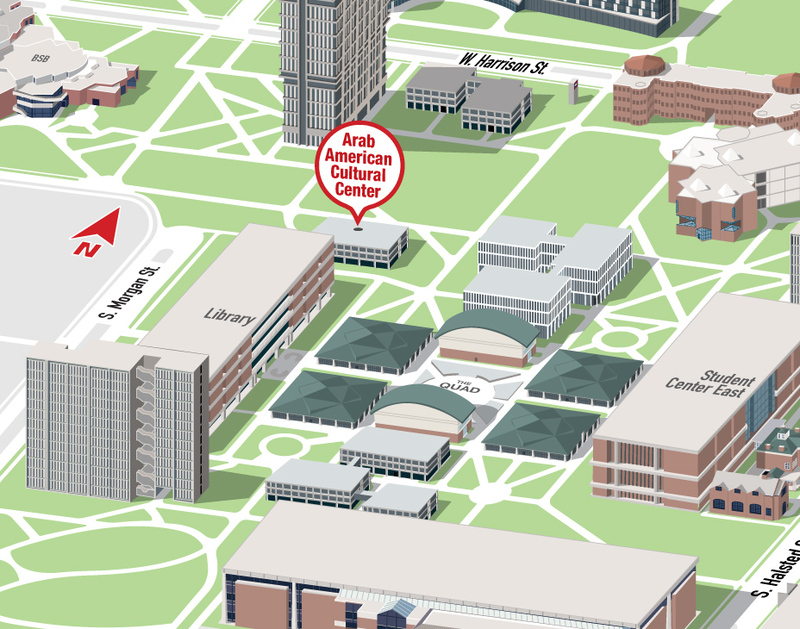 Connects UIC campus with community leaders, artists, and cultural institutions through public programs including: Zona Abierta, Civic Cinema, Noche de Poetas, ARTivism, and Special Programs. Coordinates and supervises internships for the Heritage Garden and lends its expertise in collaborative projects including L@S GANAS for STEM students. Through institutional interventions, support, advocacy, and education, our mission at the Women’s Leadership and Resource Center (WLRC) is to create a welcoming and equitable environment in which women and women-identified people are able to pursue their educational and career aspirations, free from institutional barriers, oppression, and violence. Hosts programs that highlight women’s lived experiences and recognize their contributions as contemporary, cultural and historical leaders. Promotes gender equity through programming that raises awareness of women’s and gender issues, develops women’s leadership, and celebrates women’s accomplishments and contributions. Provides resources as well as individual consultation on issues such as sexual harassment and sexual assault.